It showed, that the giveaways on this blog are very popular and that you simply love them. Arranging for giveaways makes me very happy, but most important is, that I have the chace to make you happy. Although I had prepared for you the next big package of cosmetics of Estée Lauder, I decided to make a change. For a very long time, I did not organized a jewellery giveaway. 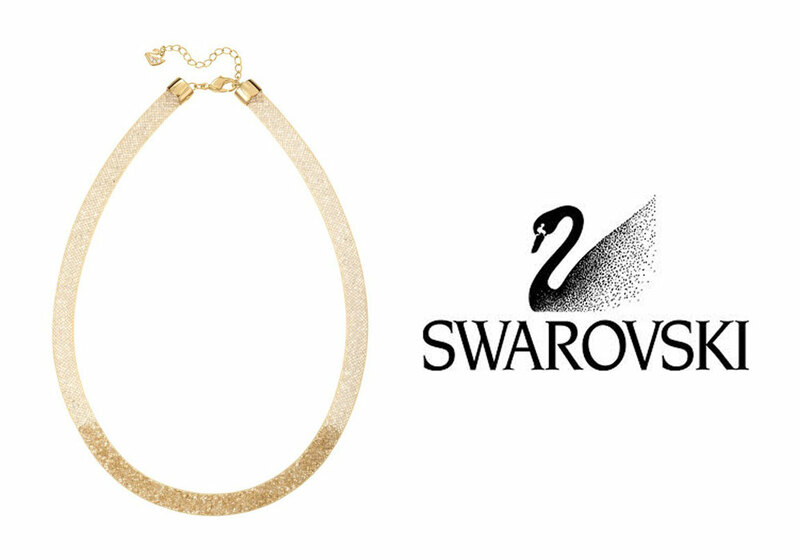 From today until 29.9.2015 you can compete for a golden necklace from Swarovski - Stardust. The necklace is from the new collection, which means that one of you will look not only charming and luxurious, but also trendy. Let´s go for it. My giveaway has only three mandatory rules (follow this blog, subscribe on my Youtube channel and leave your email) and it is open internationally. Ukázalo sa, že sú giveawaye na tomto blogu veľmi populárne a máte ich v obľube. Robia radosť mne a čo je najdôležitejšie, robia radosť vám. Aj keď som mala pre vás nachystaný ďalší veľký balíček kozmetiky Estée Lauder, rozhodla som sa pre zmenu. Dlho predlho tu nebola žiadna šperková giveaway. Oddnes, až do 29.9.2015 si môžete zasúťažiť o náhrdelník od Swarovského - Stardust. Náhrdelník je z novej kolekcie, čo znamená, že jedna z vás bude vyzerať nielen šarmantne a luxusne, ale hlavne trendy. Poďme teda na to. Giveaway má len tri povinné pravidlá (sledovať tento blog, sledovať môj Youtube kanál a zanechať na seba email) a je otvorená medzinárodne. Dear Ema, I would absolutely LOVE to win this beautiful necklace! Thank you for arranging such a cool giveaway. Nice! Love to! Thank you so much! my e-mail is elimasci@gmail.com. Thank you for the givaway! wow beautiful!!! liked and shared!!! Gorgeous ! Thanks for the chance ! Tak ten je opravdu nádherný. Brilliant Giveaway! But what do I type in the 'CLICK' and 'One More Click and Were Done' boxes? Te sigo desde España, es fabuloso tu blog, suerte! Páni, první taováhle giveaway co jsem kdy viděla :O Fakt klobouk dolů, že děláš takovou. Máš nádherný blog! Beautiful necklace, every lady would have wanted and you're allowed to. Thank you for this wonderful giveaway. To vypadá fakt dobře ;o). Na GCF Blanka Hanzlová, youtube ArwiCZ, mail arwi@centrum.cz. Thank you fr this fantastic giveaway and for the invite. Entred ith pleasure and cross my fingers! YT: tak též Katherine H.
Added 2 weeks to the contest?